I watched the 2007 rom-com Music and Lyrics (that’s the word ‘and’, not an ampersand) the other day and if you haven’t seen it, trust me when I say that it is a work of unequivocal brilliance. Proper, genuine, non-ironic brilliance. This kind of brilliance. It made me realise two things: 1) how rarely we get to see really great, accessible romantic comedies ‘these days’ and 2) how the ones that are great and accessible tend to feature Hugh Grant. I love Hugh Grant in pretty much every way it’s possible to love a complete stranger, and I can’t for the life of me work out why he’s never afforded the sort of cult status that, say, Nicolas Cage is. With that in mind, I’ve decided to set myself the task of watching every single one of his thirty film roles (yes, even Did You Hear About The Morgans?) and ranking them in order of greatness. Don’t ask me why; just know that it will all make sense in hindsight. 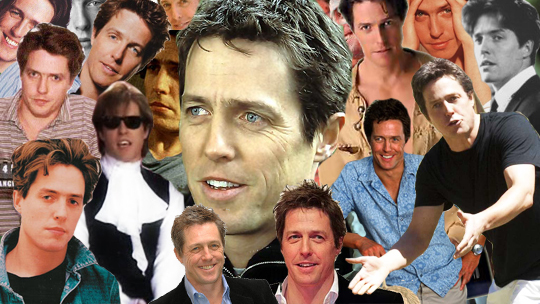 You can keep up with the project in the special Grantwatch box in the sidebar (<– over there) and I might occasionally post reviews and the like up here as well, but don’t worry: this isn’t going to become some kind of Hugh Grant fansite. Not yet, anyway.